It’s not packed with as many complications as you might think, but it does have one very famous owner. At the end of last week, a stainless-steel Rolex Daytona sold for a world-record-breaking $17.8 million as part of Phillips’ WINNING ICONS – Legendary Watches of the 20th Century auction in New York, making it the most expensive watch in the world. But what is it about this timepiece in particular that made someone willing to part with such a huge sum to own it? It’s not the fact that it’s a Rolex Daytona, even though the stainless-steel model is the most sought-after in the world (Watches of Switzerland in London recently closed its waiting list, such is the demand). 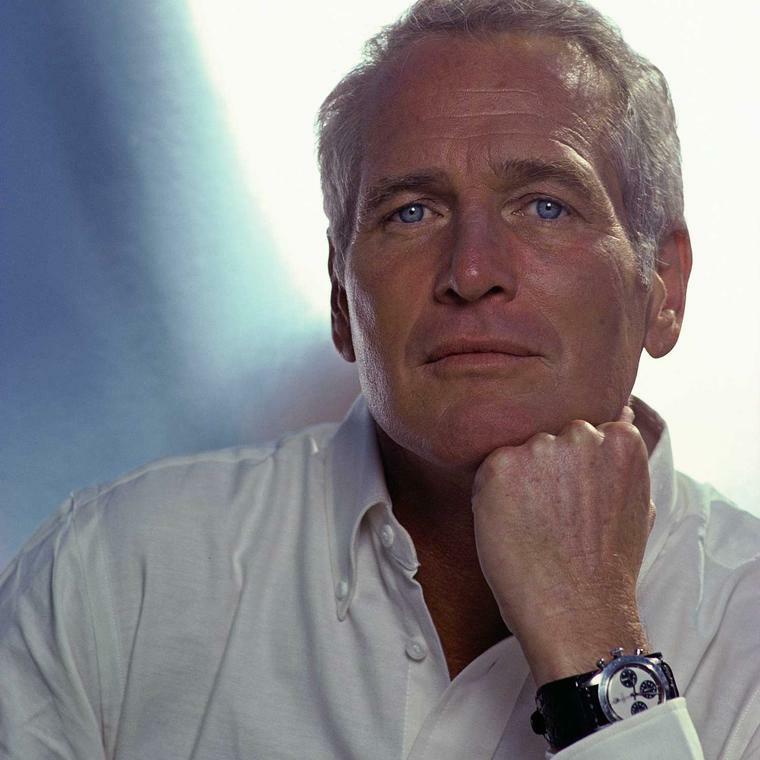 Rather, it is because of its previous owner: the late Hollywood heart throb Paul Newman, who died in 2008. The Rolex “Paul Newman” Daytona, as this watch is better known, is the Holy Grail of collectable timepieces and one of the most talked about watches of all time. Bought from a Tiffany & Co. store in New York by his actress wife, Joanne Woodward, and given to Newman while they were filming the 1969 movie Winning, it has the words “Drive Carefully Me” inscribed on the reverse – a personal note from Woodward that referenced a previous motorbike accident and Newman’s love of auto racing, which he later made a career of. Prior to the auction, there was much speculation about the watch’s whereabouts. The story that unfolded after the news that this legendary watch would be heading to auction dates back to the summer of 1984 when Newman, his daughter Nell and her boyfriend at the time, James Cox, were at the actor’s home in Westport, Conneticut. Cox didn’t own a watch, so he casually asked Newman the time. He responded by handing over his Rolex Daytona, uttering the famously understated words, “Here, here’s a watch. If you wind it, it tells pretty good time.” Cox continued to wear the watch every day until the 1990s, and that was the last that was seen of it until earlier this year. Cox and his ex-girlfriend remained friends, and while Cox put it up for auction, a portion of the proceeds of its sale will benefit the Nell Newman Foundation, which continues the philanthropic work of her father, and Newman’s Own Foundation. Newman owned a handful of Daytonas, but this particular model, the “exotic dial” Daytona Reference 6239, with a steel bezel and pump pushers, is the one that everyone wants. Worn on a military Fatstrap – a thick leather strap for your watch that was the height of style in the 1970s – it was captured for eternity in the iconic image of Newman, above. On 26 October 2017 this stainless-steel Rolex "Paul Newman" Daytona watch sold for a world-record-breaking $17.8 million at auction in New York, making it the most expensive watch in the world. Interestingly, the “exotic” white dial, with a black outer track running around the outer edge that matches the sub dials (spot the cool Art Deco style font), is regarded as one of the best-looking Rolex Daytona dials ever made. It is arguably the most famous vintage sports watch of all time. However, when it was in production in the 1960s, no one bought it. It wasn’t until the 1980s, when collectors first discovered the Rolex Daytona and the picture of Newman wearing his “exotic” model, that watch lovers fell for it charms. 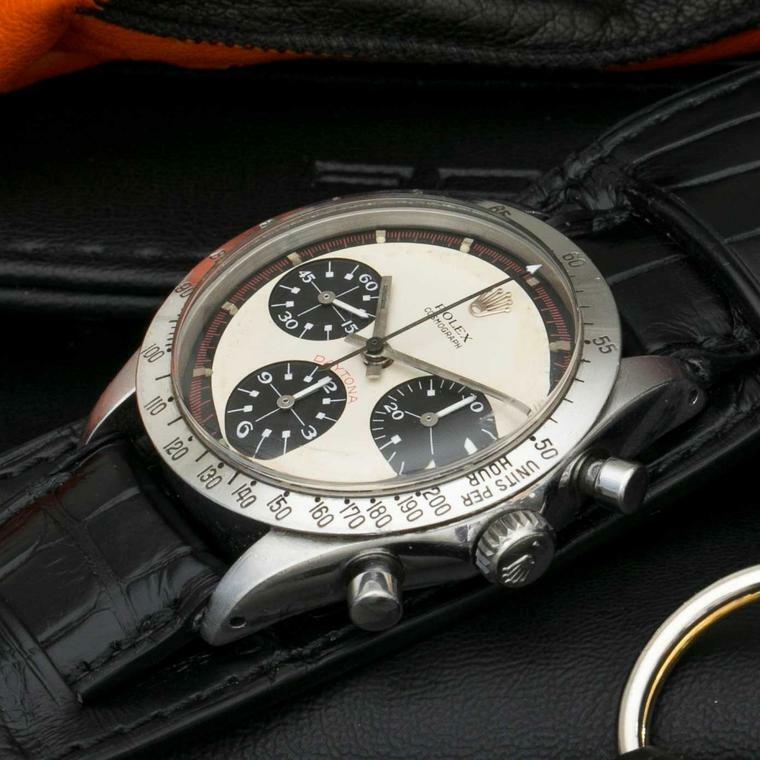 What we do know is that whichever person now has the Rolex “Paul Newman” Daytona in their possession has got their hands on the ultimate piece of watch history, according to Paul Boutros, Senior Vice President of Phillips, the auction house in New York responsible for its sale.